INDIANAPOLIS — Kohl's says an issue with their third-party payment system is to blame for holds on customer accounts, unfilled Black Friday orders and even some customers being charged multiple times. Bailey Webster said she ordered a gaming system online on Black Friday at Kohls.com. When she woke up Saturday morning, Webster says she had an email from Kohl's saying the order was canceled because the item was sold out. 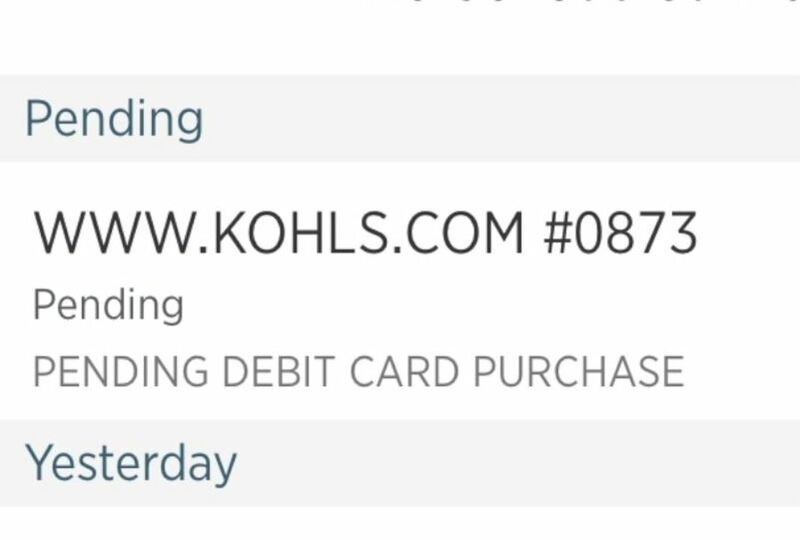 Instead of canceling the order immediately and returning her funds, Webster said Kohl's tried to re-charge for the item, which was still out of stock. Almost five days after her order was initially placed, Webster says the $350 she paid Kohl's online for the gaming system is still being "held hostage" by the store. After contacting the store several times and getting no resolution, Webster reached out to WRTV for help. "I'm told my refund will be processed in seven days, even though it's not a refund, it's a hold on my money," said Webster. "With three kids we live paycheck to paycheck like most Americans do right now and I don't have another $350 to have taken advantage of the Cyber Monday deals now." Webster says her bank said they can't do anything to help with the charge because it's Kohl's responsibility. Kohl's issued a statement to WRTV on Tuesday saying the issue was only with customers using third-party credit and debit cards and they are working to resolve the issue as quickly as possible. "Regarding the customer inquiries you shared, we are aware of some earlier intermittent technology issues that may have interfered with some customers' ability to check out quickly and easily. Select customers using third-party credit and debit cards may have experienced multiple holds on their accounts when shopping with us during a select time frame during our Black Friday event. Our teams worked quickly to address and resolve. We apologize to any customers for this experience. We have taken steps to reverse additional authorizations. The third-party financial institutions take the next step to reverse the authorizations to customer accounts, according to their organizational guidelines. The time frame for this reversal varies by financial institution. While, in many cases, authorizations have already been reversed, it is our understanding that, on average, most outstanding reversals will be completed in the next few days."